Customized Briquetting Plant is where the raw material of required size in fed into tough taper die through screw conveyor. Due to heat and high pressure raw material in the form of powder gets converted into solid cylindrical shaped briquettes. In this process lignite content of all raw materials gets converted into liquid due to heat and pressure, and this liquid content acts as binder. So in this technology no external source of binding is required to form the cylindrical shape if briquettes. Therefore this technology is known as binder less technology. We are chief manufacturer and supplier of Briquetting Rotary Air Lock in India. Our Rotary Air Lock Dryer is special designed to dry the wood material which combines the function of drying and cooling. Material is conveyed by screw at feeding point. This plant consist of high moisture of 50 % and more. Jay Khodiyar Machine Tools is pioneer in conceptualizing cost effective Biomass Briquette Machines. 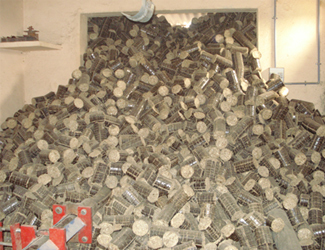 Biomass briquettes are made from agricultural waste. High density fuel naming Bio mass Briquette Machine is manufactured from all type of degraded, binderies, residues such as saw dust, cotton stalk, bagasse, coffee husk, pine needle, ground nut shell. 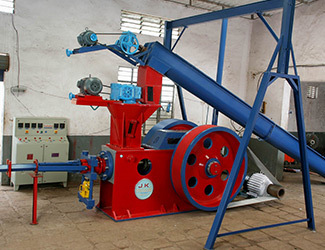 The machine that manufactures Briquettes is known as Briquetting Machine. 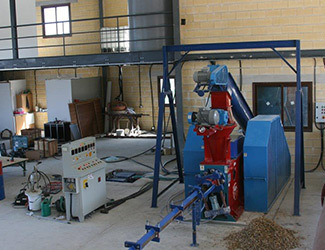 The Briquetting Plant consist of varied spare parts like Briquetting Press, Screw Conveyor, Motor Railing, wood Pellet, wood crusher having outstanding features like low maintenance, reliability and long functional life. Since the establishment of the company in 1994, we hold strong power to manufacture Customized Briquette Making Machine. 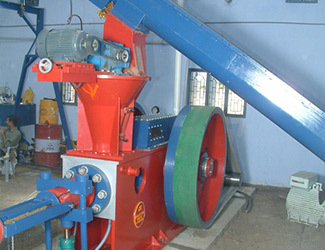 Briquette Machine is used to press coal, coke, charcoal, mineral powder, etc. 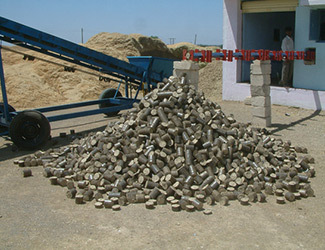 The final briquettes are transformed into dissimilar shapes like oval shape, pillow shape, etc. 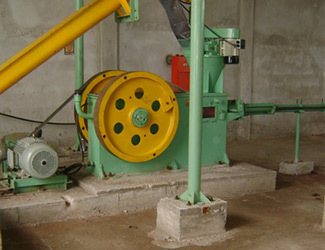 As this Machine is used tp press charcoal dust it is named coal briquetting plant.